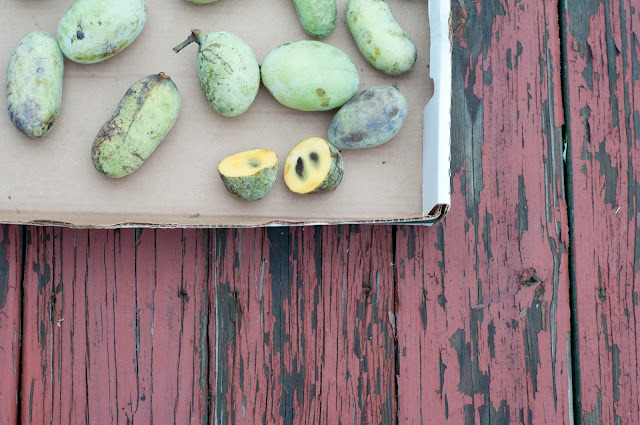 Pawpaw pie is similar in texture to pumpkin pie but presents it's self with this unique tropical...ferment-y like taste. It's such an interesting fruit and you actually have quite a few options when it comes to preparing it. I am a big pie fan. I could eat pie daily and in any flavor...I do not discriminate among the fruit pies so when I have a chance I make a pie...homemade crust and all people! However it's worth noting the homemade pie thing is a new revelation and part of my conquering things that I previously did not like the idea of. Now I love making homemade pie crust because literally...very few things are easier and more satisfying. Here is the pie recipe I used to honor our nations largest native fruit. Whisk together ingredients until smooth. 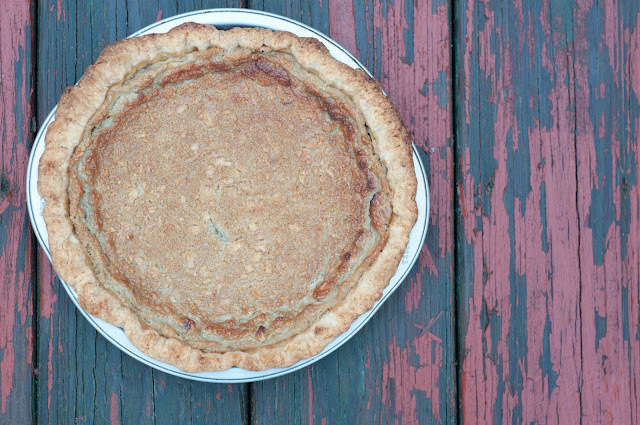 Pour into a pie shell and bake in an 375 oven until your knife comes out clean when tested. I started testing around 30 minutes.